Zeev Suraski is one of the architects and principal authors of the PHP programming language. His involvement with PHP dates back to 1997 when he co-created the foundation for PHP 3 – the first version of PHP that resembles ‘modern’ PHP. Zeev later spearheaded the PHP 4 project – which made PHP the most popular development language in the world for Web apps, contributed to PHP 5, is to blame for the sixth version of PHP being named PHP 7, and is in the process of helping bring PHP 8 into realization. 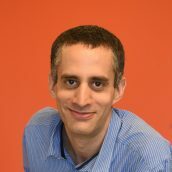 Zeev co-founded Zend Technologies in 1999, serves as the CTO of the Zend product line in Rogue Wave Software and leads the its R&D teams.